If ever there was a challenge this was one of our top three. 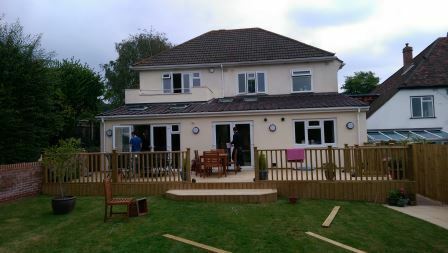 We had to rip the back off an existing house in Portsmouth and extend it and remodel the split level garden whilst the family still lived through the construction process. The brief was to provide a new kitchen and dining room space for the family as well as create a new ground floor accessible bathroom, bedroom, activity space and convert the garage for the carer’s accommodation. 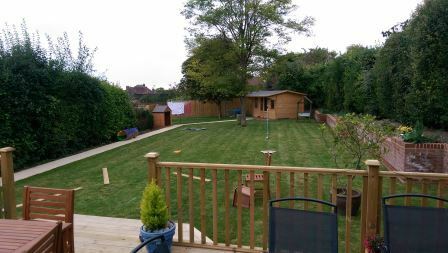 We also provided a new bathroom and shower room upstairs for the family and levelled the garden and provided a new summer house. It was a testing project all round not least having to get diggers across the park under the cover of night to move and re-landscape 100 ton of chalk! We formed a new balcony off the main family bedroom and the views to the harbour are quite breath-taking.